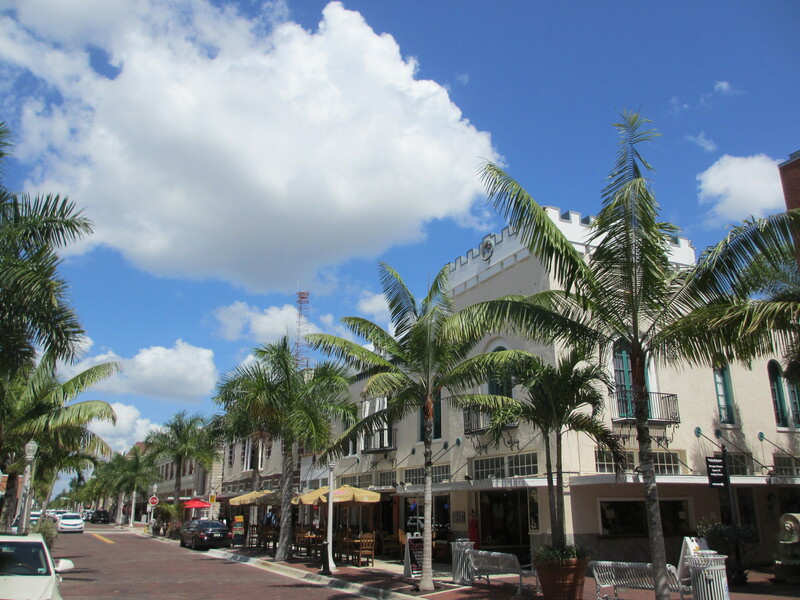 Fort Myers, known as the City of Palms, is a thriving city and the seat of Lee County. Barely more than 120 years old, this city has an interesting history as it developed from a waterside swamp to becoming the Gateway to Southwest Florida. With a beautiful winter climate and riverfront position, it was the chosen place for Thomas Edison and Henry Ford to build their winter homes. These adjoining properties are now a major local attraction. 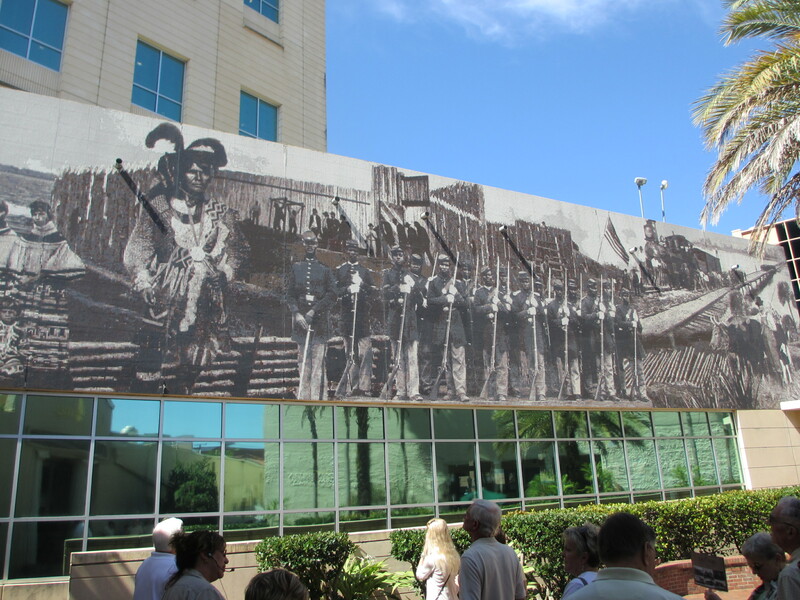 The indigenous Seminole Indians of Florida were driven further south with each new treaty. When cattlemen wanted their final territory for grazing their cattle, Congress offered the Indians a bounty to move west, but this was one move too much, so the Indians refused. This led to tensions and in early 1850, a fort was reactivated on the Caloosahatchee River as a base of operations. It was previously known as Fort Harvie but was re-named after Colonel Abraham Myers, and so Fort Myers was born, at least in name. This waterfront fort was sizeable with 57 buildings, a hospital and gardens. It was kept supplied by Manuel Gonzales, in his sloop. After eight years of strife, Indian Chief Billy Bowlegs and his warriors surrendered and the fort was abandoned. Billy Creek, which flows into the Caloosahatchee River near Dean Park was named after the camp where Billy Bowlegs and his followers waited for ships to transport them west. In 1863, the fort was occupied by Union Army troops during the Civil War. In early 1865, three companies of Florida militia attacked the fort, tired of the cattle raids launched against the local ranches. After sporadic fighting, the Confederates retreated, in what became known as the Battle of Fort Myers. However just a month later the Union troops abandoned Fort Myers altogether. First settlers arrived in the area around 1866. Manuel Gonzales, the former supplier to the fort, returned and repaired a house to live in, and then moved there with his family. They operated a trading post where the present Federal building now stands and Mrs Gonzales became the first schoolteacher for the community that developed around it. 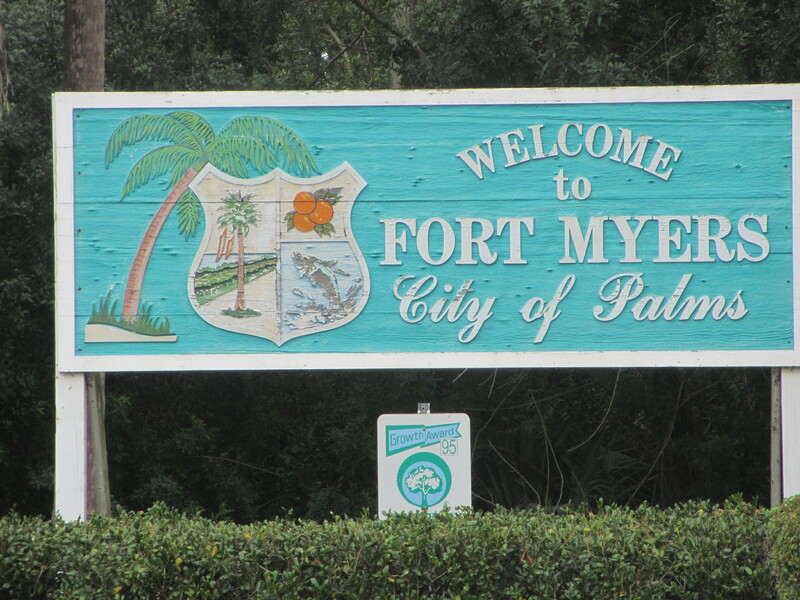 The city of Fort Myers was officially established in 1886; it became known as a desirable winter resort when the Royal Palm Hotel opened in 1898. Around this time Tootie McGregor, along with Thomas and Mina Edison, began beautifying Fort Myers. They donated Royal Palms to be planted along Riverside Drive which was renamed McGregor Blvd. These graceful palms are now 75 feet tall and provide an impressive guard of honor to all who arrive in Fort Myers today. In 1902, Manuel Gonzales was obviously settled and prospering. He built two houses on the corner of Broadway and Second Street, in the heart of present-day Fort Myers. He moved his family into one house and his mother lived in the other. In 1904, the railway arrived in Fort Myers, further developing the community along with the building of the Tamiami Trail (now US 41) across the Caloosahatchee River in 1924. Much later, in the 1970s, the two Gonzales houses were amalgamated by Peter Pulitzer, son of the well-known publisher. He created a home for his fishing buddy, Fingers O’Bannon. In 1978, the buildings were bought by Paul Peden who transformed them into the Veranda, a well-known upscale restaurant with a splendid reputation for good food. 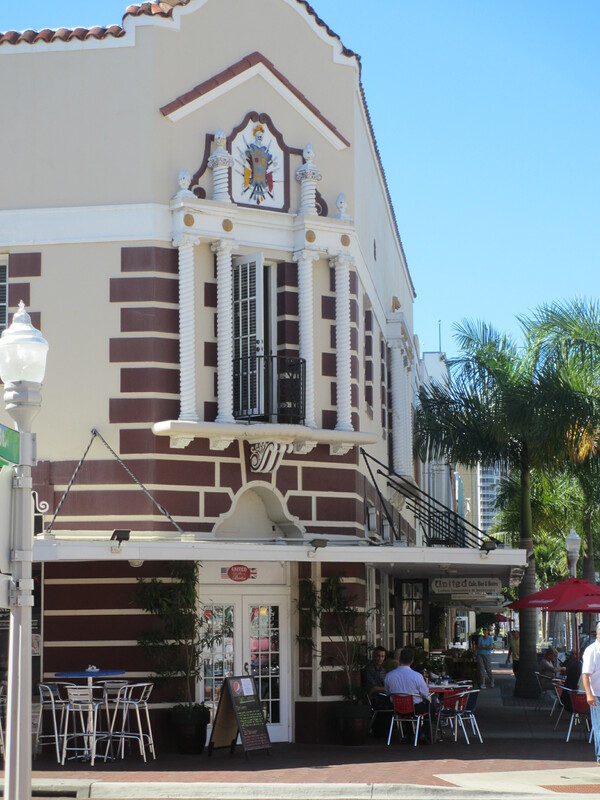 These restored turn-of-the-century homes have an authentic atmosphere and make this a charming place to have lunch or dinner in the heart of Downtown Fort Myers. 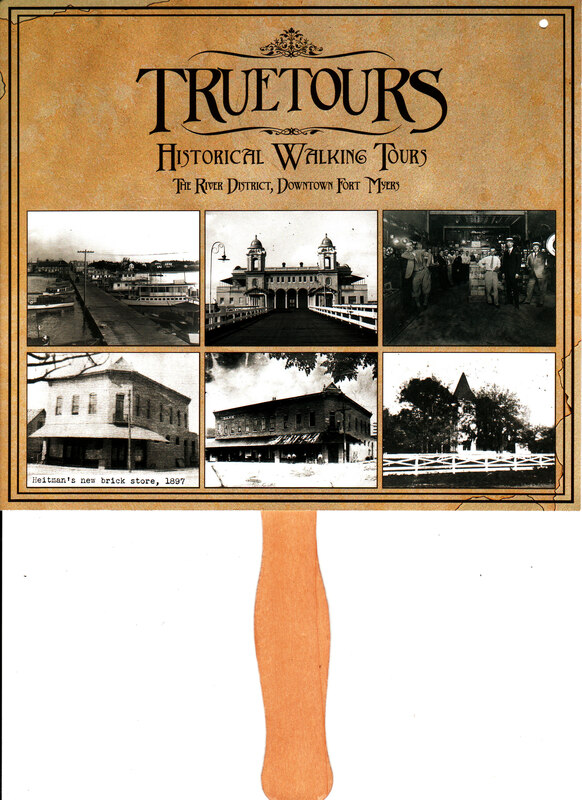 If this has whetted your appetite, then consider buying my book Days Out Around Fort Myers (available in all formats) or take the excellent walking tour of downtown Fort Myers by TrueTours. This entry was posted in Florida and tagged Fort Myers, Walking tour. Bookmark the permalink.